I visited Charleston recently, and I’m here to tell you that the city is full of charm and grace. The city captivates you the moment you arrive, “she”, like Scarlett O’Hara at an afternoon picnic at Twelve Oaks, is a true southern belle. It’s stands out from other southern cities by its beautiful historic district, including the French Quarter with its cobblestone streets and gas lamps. Horse-drawn carriages drive tourists through the Battery by pastel antebellum houses. The Battery promenade and Waterfront Park both overlook Charleston Harbor, while Fort Sumter, a federal stronghold where the first shots of the Civil War rang out, lies across the water. The weekend I visited to see friends and family offered postcard-worthy “Chamber of Commerce” weather. I stayed in the historic district, which is perfect for parking the car and walking through the city. A stroll through the touristy Charleston City Market is an absolute must. Visit with the artists and sweetgrass basket makers, some of whom have been weaving baskets for over 50 years. An easy drive to the Isle of Palms yielded a walk on the beach with a refreshing sea breeze. A bonus was spotting several dolphins swimming close to shore. After that, I visited the Middleton Place Plantation with its ancient oak trees dripping in Spanish moss. During my self-guided tour, I visited with docents who show what life must have been like on the plantation over 150 years ago. I had an exquisite salad for lunch at the restaurant on site, where my table by the window offered a tranquil view of the property. 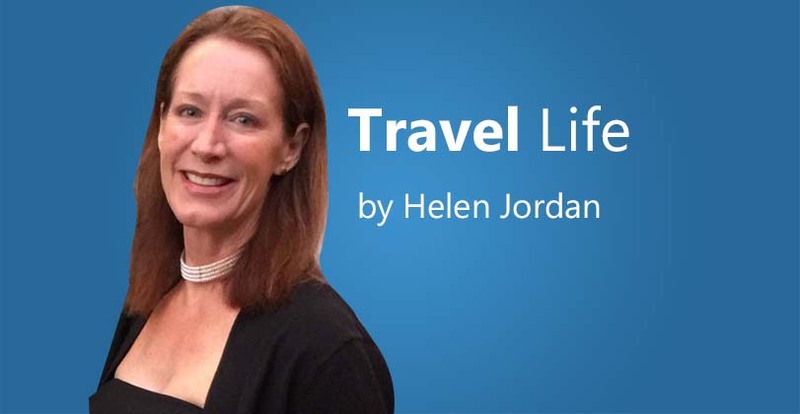 There are many choices for accommodations from vacation rentals, to affordable 4-star hotels, to luxurious 5-star properties in the historic district. Consider staying in one of the historic inns or B&B’s. A few to consider are: Zero George, The Dewberry and Wentworth Mansion. Keep in mind that peak travel season is March to late May when the weather is just delightful, so don’t delay in making your reservations. There are several companies that offer guided and/or private tours throughout Charleston and its environs, which are wonderful for learning more about the area and its history. If you’re on a budget, you can easily create your own itinerary. The Visitor Center is located at 375 Meeting Street where you can learn more and get discount tickets to select attractions. It’s open 8:30 to 5:30. Consider a horse-drawn carriage ride through the historic district, a visit to an antebellum mansion, a tour of one of the historic plantations, a visit to Fort Sumter, or a tour of the USS Yorktown aircraft carrier. For all you “foodies” out there, Charleston is the perfect city for checking out the food scene. There is a plethora of great restaurants. Your visit would not be complete without tasting the low country as well as the haute cuisine options on offer. Consider the following 2018 James Beard award nominees and their restaurants. Charleston offers festivals and events for all interests. 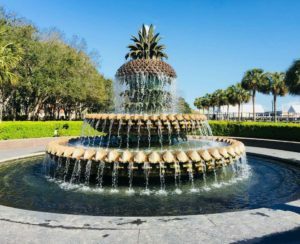 A few include the Food and Wine Festival in early March, the Low Country Cajun Fest in early April, and the Spoleto Festival (arts) in late May to early June. Some fun facts about the Holy City include the following. Charleston was the wealthiest city in colonial America. The Sea Gulls, Charleston’s first baseball team, started playing in 1886. They are now the Charleston River Dogs and partly owned by actor Bill Murray, who is a Charleston resident. Charleston proudly owns the mantle of being the first to have a public college, museum, golf club, and playhouse in America. Pineapples are a symbol of hospitality. During colonial days, when a sea captain returned home from a long voyage, he would spear a pineapple on his fence post. This symbol let friends and neighbors know he had returned safely and were invited over that evening to drink and hear of his adventures. Charleston has about 230 days of sunshine each year and an average daily temperature of 65.6 degrees Fahrenheit. Charleston is a true southern belle that captivates its visitors with historic architecture, beautiful parks, and enchanting landscapes. Today, it continues to exude the charm and grace that was so dear to Rhett Butler. I recommend that you put it on your bucket list to visit this unique and delightful coastal city.